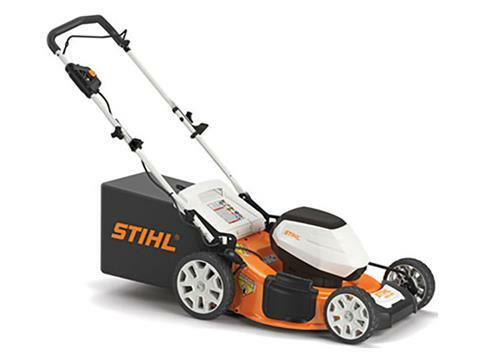 The STIHL RMA 460 is the first lawn mower in the AK Series, giving AK battery users a full line of products to complete tasks around their lawn. This lawn mower is compatible with the AK 20 or AK 30 battery, providing homeowners with performance options based on yard size. With a deck width of 19”, the RMA 460 is highly maneuverable for quick and efficient grass cutting with each pass. Its 15.85 gallon grass catcher allows for more grass cutting and less stopping, while the handle bar is easily adjustable for user comfort. The RMA 460 is great for small to medium-sized yards under a half-acre and can also be used as a mulching mower.